Posted on July 7, 2016 at 12:11 pm. To call Kathy Sebright a dedicated distance runner is a bit of an understatement. Kathy, who lives with her husband Tony and their school-age boys Travis and Emmett in the southwest Michigan community of Dorr, ran throughout her pregnancies, nursed one of her babies at the side of the road during a marathon, has directed a local 5K, led “couch-to-5K” groups, paced fellow runners at numerous races, and tackled ultramarathons. Kathy Sebright’s memoir, Finding Hope in the Long Run, was published this summer. More than 1,000 people virtually joined Kathy — through running, walking, biking, lifting — from 45 states and 13 countries. And in the years following, on the June 20 anniversary of her son’s surgery, Kathy ran the full 7 hours and 26 minutes to raise awareness of Craniosynostosis. 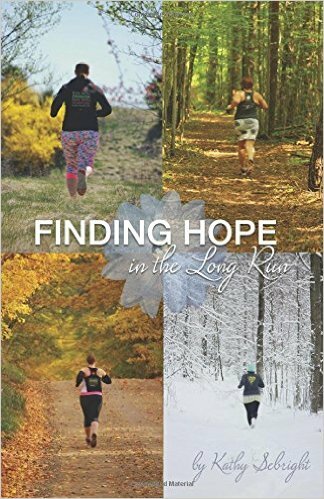 Kathy joins Heather on the show to talk about her running journey — how running changed for her after her son’s diagnosis — and also to talk about her new book, the memoir Finding Hope in the Long Run about her experiences as an ultra runner and mom of a son with special needs. Kathy, who is also giving away two of her books to MRG listeners, says her book is about making her way through an especially difficult time in her life and finding hope on the other side. 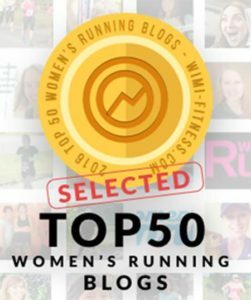 *If you enjoy what you’re hearing on the Michigan Runner Girl show, we’d be so grateful if you’d take a few moments to write a review on iTunes. This will help more runners and Michigan lovers like yourself find the podcasts. Thank you!! Also, the quickest way to get the podcasts is to subscribe to the show via iTunes. Clicking this link will automatically download the shows to your iTunes account. Great podcast. I didn’t know Kathy was an AMR! You were amazing Kathy!!! You inspire more people than you can ever imagine!!! Keep it up!! Very inspiring! I truly enjoyed hearing how Kathy went out for a run instead of sitting in the waiting room. Great listening to this. I have read the book and am always so inspired by Kathy. I’m entering the contest by sharing how running got me through a challenging time. I was training for my first marathon and completed my 20 mile training run, which was such an accomplishment at that time. My excitement was short lived. My 55 year old dad died unexpectedly that night. During the turmoil that followed, helping my mom and my kids and myself, I did not know if I could do the Bayshore which was just 3 weeks away. But running was my salvation during that trying time. I completed the marathon and felt his presence every step of the way. And I still feel him most acutely when I run. Kathy, from one mom to another, you are an inspiration!